~The Woman Next Door: I get the impression that Indian people as comedians or comedy routines centered around Indian and/or Immigrant-based comedy is new in the United States of America. While this kind of comedy material isn’t new in Australia, Australian television is sadly a long way from having a show like The Mindy Project broadcast on our screens, mostly because there is a continuing history of casual racism amongst the Australian television networks. 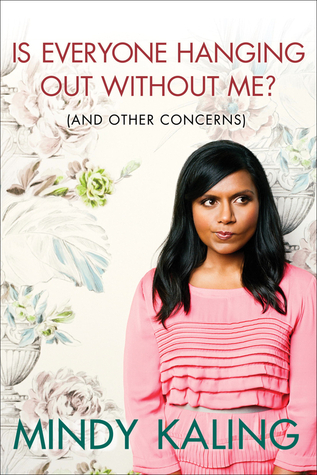 Mindy is the socially awkward nerdy girl next door and, while Mindy’s Indian background is mentioned and is important, it’s not the biggest (or only) slice of her comedy material pie. While Mindy’s big break cam from dressing up and impersonating Ben Affleck, Mindy likes traditionally feminine things and there’s absolutely nothing wrong with that. The fact that she’s been able to retain her femininity in an industry that is predominately white and male is a credit to her. The small parameters of what it means to be “The Girl Next Door” need to be changed or, better yet, the archetype removed all together. ~Short and Sweet: I felt that Is Everyone Hanging Out Without Me? was more of an introduction of things to come, which is fine and it does work as a short novel. It’s easy to read and the subjects were mostly safe and relatable. ~Ethnic diversity on Australian TV: are we finally ready for colour on our screens?